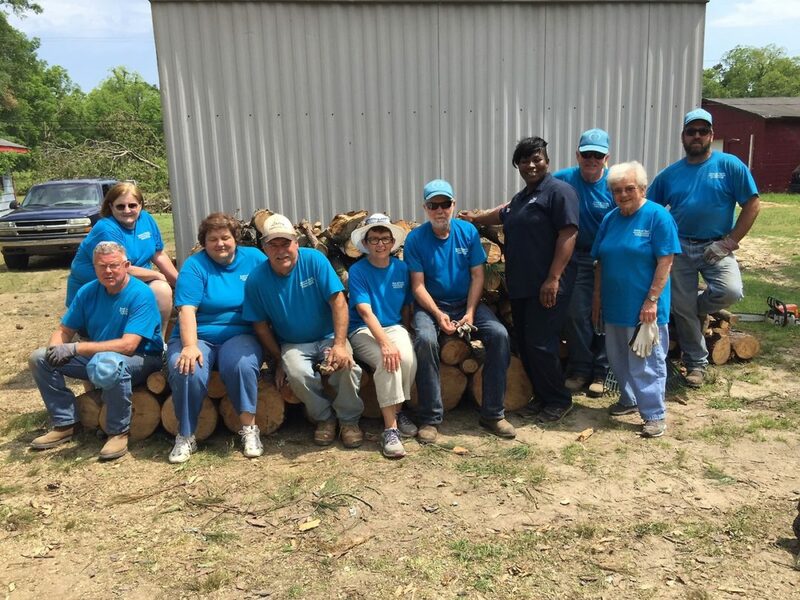 Sister Luke reported that today the volunteers finished clearing trees and debris from the fourth house in Durant, Mississippi. The top photo is a picture of the SCN Volunteers with Ms Martha was was thankful for their untiring assistance. The volunteers had a wonderful surprise when Bobby showed up at a house where they were clearing debris. Mr. Patterson saw the Disaster Relief trailer with the Sisters of Charity of Nazareth logo. He asked volunteer, Gayle Case, if she knew Sister Paula. She responded “yes” and there was an instant connection of hearts. Mr. Patterson shared that Paula was his wife’s “Doctor”. Oh how he misses her. 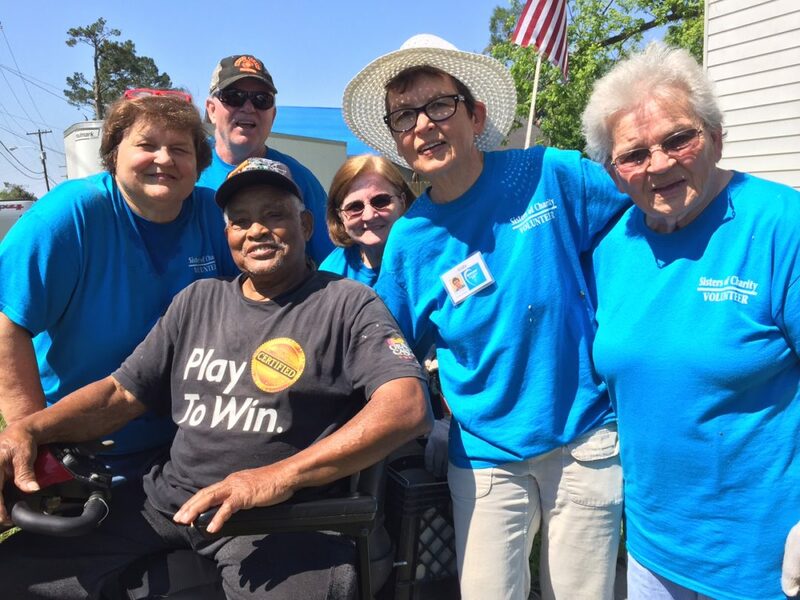 The volunteers posed for a picture with Bobby in the bottom photo.